I am always in search of the best coverup that is the most natural money can buy. I usually go for the mineral makeups, but some can leave me so cakey feeling and irritate my acne and dermatitis. Powders are notorious for that, but at the same time, they can be better than liquid foundation, which makes me an oil slick on parts of my face. I struggle to find that happy balance and I think I may have found it with Mineral Hygiencis. I like simple techniques that don't take up a lot of my time. This took no time at all and was very easy to apply. 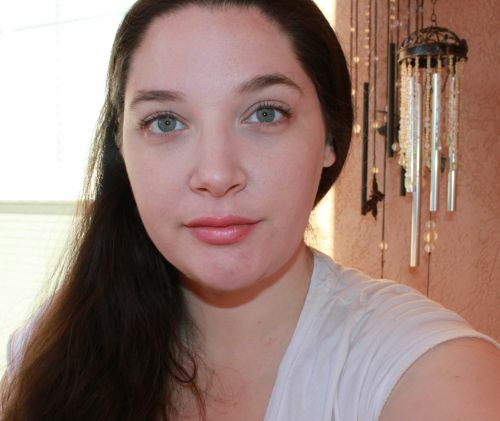 I chose the Fair and fairly light foundations, with the help of their skin tone chooser. I thought my match fell between both or one of the two. 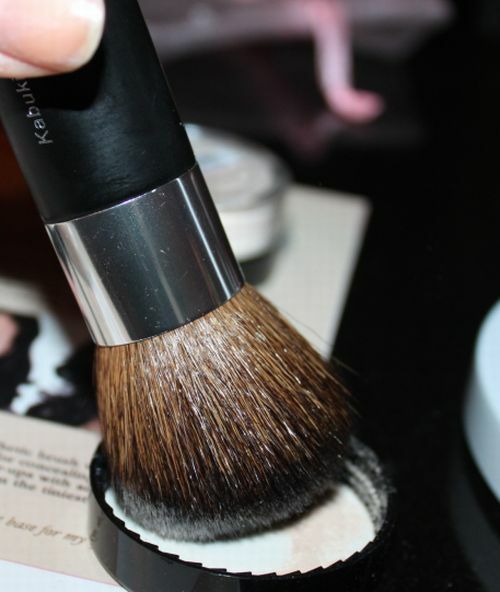 First you take the Mineral shade, tap some in the cap and swirl then tap off excess with your kabuki brush. 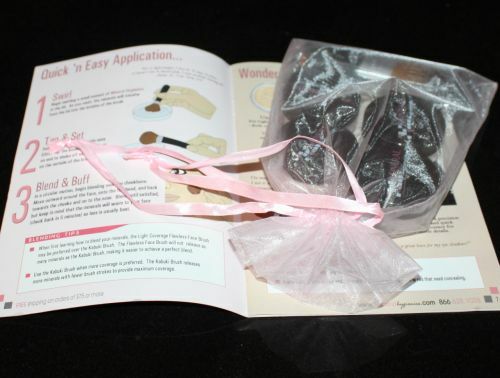 Then apply to your face in rounded motions starting at your cheeks working your way around the entire face. Then it's time to apply the mineral veil to set it in place. I chose the translucent veil. This just tops everything off and gives it staying power and an almost air brush effect. Then I applied my radiant blusher. I love this stuff. It gives a nice natural flush. I'm not quite sure I found my exact match with them, but I tried both shades and the fair seemed to work better than the fairly light. The fairly light had what looked like too much of a pink undertone. 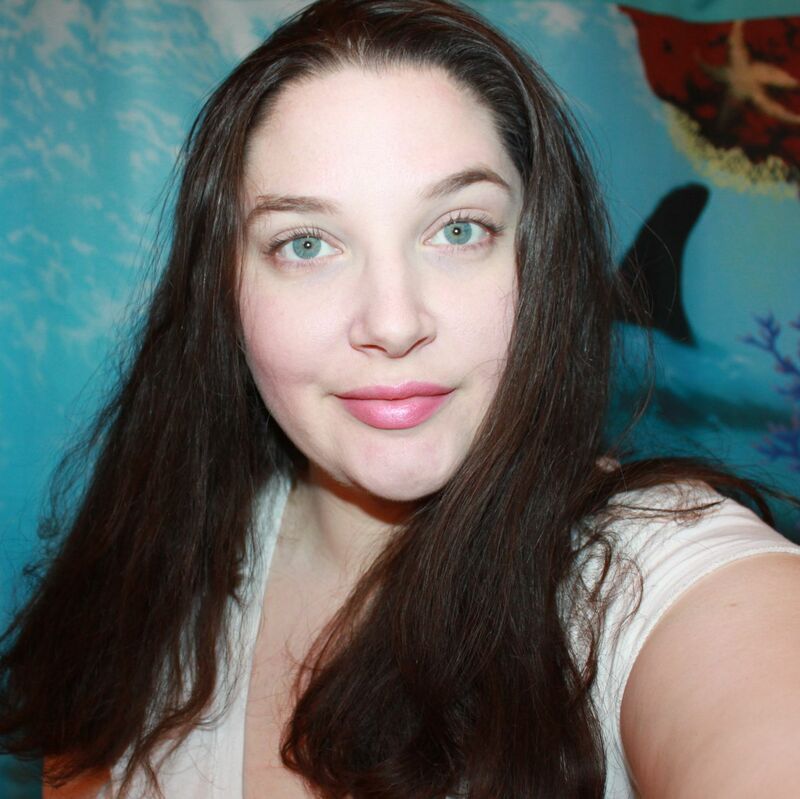 It took me trial and error, as I am very pale complexioned, but I have olive undertones. It is hard to describe. I will show you the two different shades on me. Seems too pinkish of an undertone, but then again, I don't see a huge deviation between the two! I just don't know what shade I am lol Maybe I should try going up a shade next time, but every time I try to do that, it ends up being orangey or too dark. :p I'll have to experiment with some light bronzer. None the less, it's not freakishly off, so I am fine with it. I was really impressed with the coverage and the feel of this. It definitely has beautiful coverage and naturally. I have plenty of sun spots and discoloration and this really disguised all of it. It's not at all cakey looking. It is a thick powder, but it doesn't feel that way on your skin. I'm very happy with this brand. It is a bit pricey for me, but I may try to fit maybe just the cover up and veil into my budget. I really do like this. 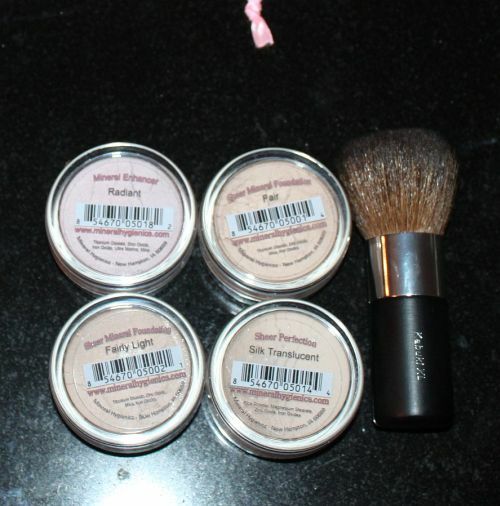 They have a whole lovely selection of many other mineral cosmetics as well. I would love to try their lipsticks mascara, concealers and much more! It looks great!!! you have pretty facial features and I think the more natural the better! yet you could do so much with your beautiful feautures! This is great you did fabulous! You look great, I think it goes well with you.